I love the smell of maple syrup as it’s being removed from the trees? A friend of mine tapped hers one year and I remember the sweet, delicious aroma that permeated the air. I could just taste the syrup on some buckwheat pancakes, yum! 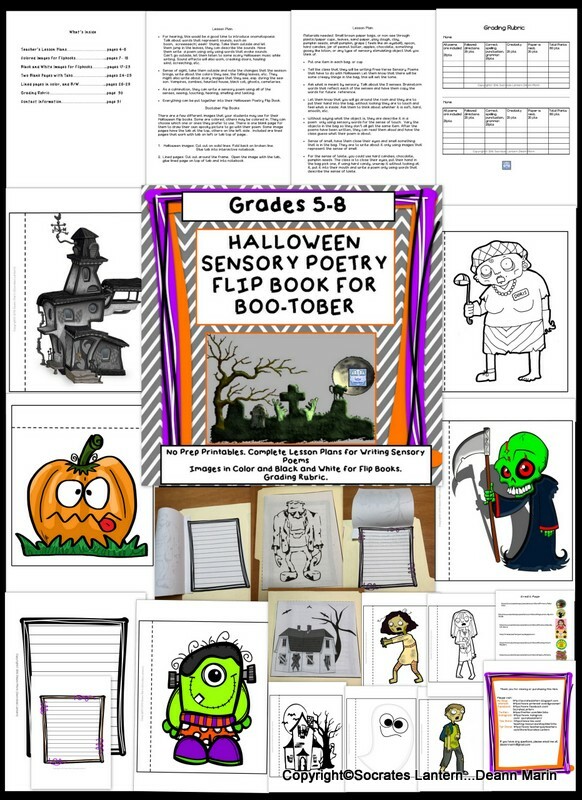 October is the perfect month for using your senses, the sights, sounds, tastes of the season are all around us. 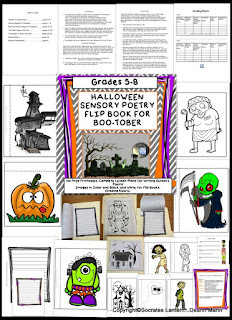 Why not take advantage of it with a poetry writing activity that I've finished in time for Halloween. To get you started, bring in some paper cups or paper bags. Place a different object into each one. The children are to close their eyes and feel it. 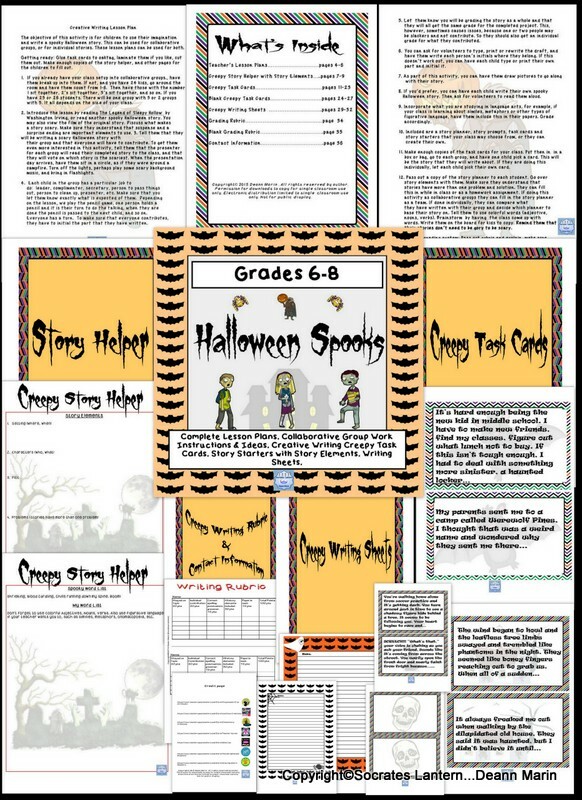 With Halloween in mind, use some items that work well with the holiday, for instance, a grape feels like an eyeball, yuck! Silly putty, marshmallows, even those squishy spiders or snakes that you can purchase at a dollar store, would do the trick. A dog toy shaped like a frankfurter would feel like intestines. I know the kids will love the creepiness of this and they'll want to write about it. Other objects you could use are tiny pumpkins, sandpaper, hair, something rubbery. Pumpkin seeds, chocolate, hard candy, those weird flavored jellybeans would be great for tasting. Use your imagination and you'll come up with more. 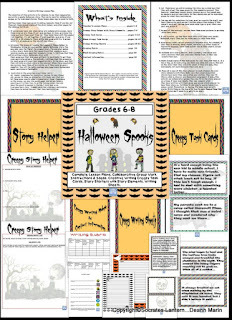 This other activity is called Halloween Spooks, it's a great way to get those minds thinking and writing some spooky stories in collaborative groups and or individually.